A robot that looks like a human being walks through the snow carrying 11 kilos on its back, and performs perfect somersaults. This can currently be seen in a video which is widely shared on social media. In not too long advanced robots will also be walking around in our workplaces, solving tasks which today are carried out by living colleagues. This is a development which will both create and kill Danish jobs. That is the conclusion of a report from the consultancy firm McKinsey presented to the Disruption Council, a forum for dialogue created by the Danish government. The council comprises a number of government ministers, the social partners and others. During its latest meeting on 4 and 5 December 2017, the Disruption Council discussed the report’s conclusions and its ideas for how Denmark can prepare its education system for a labour market where robot technology, automation and digitalisation plays an increasingly important part. Around four in ten working hours performed by Danish workers can in future be automated, using nothing more than existing technology, according to the McKinsey report ‘The effects of automation on the Danish labour market’. 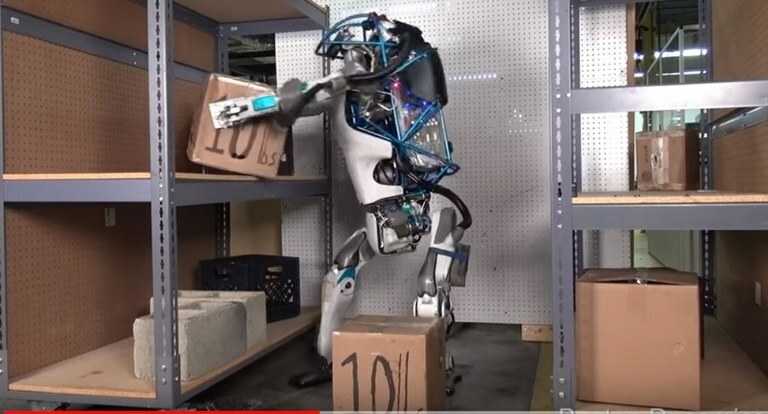 Machines and robots can solve more than heavy lifting and other physical tasks, like cognitive tasks including searching for information, online customer service and simple information processing. And this will lead to the loss of many jobs. The report predicts that 250,000 to 300,000 Danes could be hit by 2030 – especially those who have jobs where at least 60 percent of tasks can be automated, and who can only apply for other jobs which look like they will be automated. Meanwhile other jobs will emerge, but fewer and in different sectors: McKinsey predicts that towards 2030 there is a potential for 90,000 to 150,000 new jobs directly connected to automation technology. There will primarily be a need for highly educated people with solid analytical backgrounds. Automation can also lead to increased prosperity and demand, which again creates employment. But this will be in trades where robots and machines cannot solve many of the working tasks. Danes must be educated to face this new reality, and this is a problem. Because young people are not applying for the relevant vocational training and technical courses. So it was no coincidence when the members of the Disruption Council spent some time of their two day-long meeting visiting EUC Nord, an educational institution offering vocational training courses. The Minister for Employment also pointed out that it is important that Danish workers take relevant further education to get the skills which will be needed in the future. 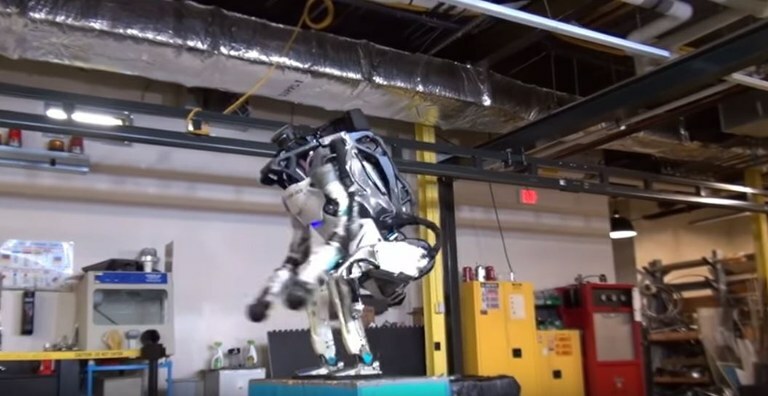 The robot that can do summersaults is developed by the Boston Dynamics company. The fact that its clever antics is a viral hit, shows that many Danes and Danish businesses still have not moved beyond being baffled and amazed at what technology can achieve, believes Philip Wiig, Country Managing Director for Accenture Denmark. “The scary reality is that Denmark is one of the countries where young people are less interested in learning about big data analysis, building apps and coding. Young people in the USA are twice as interested in these issues, while numbers are even higher in India,” writes the country head for Accenture Denmark in his column. Companies are also dragging their feet, he believes. They have started investing in so-called intelligent robots, but according to Philip Wiig that is a term which covers sophisticated algorithms and ‘traditional’ automation, and it will not push things forwards and lead to the implementation of innovative business models, he believes. Businesses themselves say they do not have the time nor the skills to embrace the full potential of robot technology, according to Accenture’s research. The Disruption Council will present its conclusions by the end of 2018.